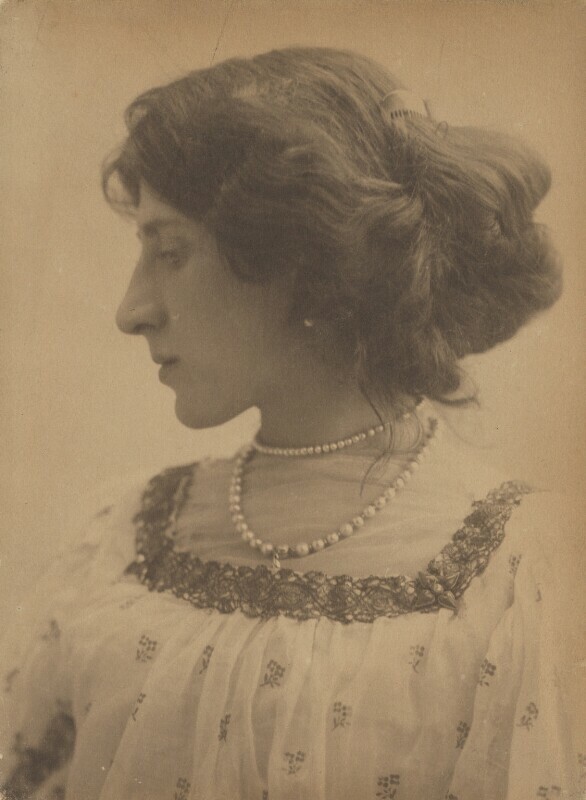 Beresford's portrait of Ottoline Morrell was taken at the studio he opened at 20 Yeoman's Row, Brompton Road, Knightsbridge. This is one of four poses in the collection. Beresford is best-known for his portraits of Virginia Woolf in a similar pose taken the previous year. In 1932 he retired from photography to become an antique dealer. Beresford's autobiographical book Schooldays with Kipling was published in 1936. Kipling used Beresford's character as the original M'Turk in his book Stalky and Co. (1899).